You have to pay for the tuition fee and also for accommodation, travel, food and other living expenses. All these expenses add up and increase the financial burden of studying in the U.K for international students and their families. Due to the high costs involved, it becomes important to make very careful decisions with regards to your total expenditure. You will need to research in detail about the total costs that you will have to incur while studying in the U.K and then decide whether you and your family can afford to pay that much or not. The U.K education system is primarily made up of government – funded universities. Some are big universities with thousands of students whereas some are small art colleges which have comparatively much lesser students. The size of a college can make a huge difference to your total expenditure. For example, the annual tuition fee at a small arts college like the Leeds College of Art is 10,200 pounds for the year 2014-2015. On the other hand, the annual tuition fee for international students at a big university like the University of Manchester is 14,000 pounds for most arts based courses. U.K universities are also often classified on the basis of the years in which they were founded. Some of the most reputed universities in the U.K such as the University of Oxford and the University of Cambridge are a part of a group of ‘Ancient Universities’ which were founded before 1800. Generally, new universities are cheaper than the older ones. One of the main reasons behind this is the formidable reputation that these older universities have formed over the years as compared to the new industries. For example, the University of St Andrew’s, which was founded in 1410, charges international students an amount of 16,230 pounds per year as the tuition fee for arts courses. On the other hand, a newer university like the Middlesex university, charges international students 10,700 as annual tuition fee (arts courses) for the year 2014-2015. Keep in mind that this does not apply to all universities but applies to most cases. It is therefore advisable to check the specific cost of the universities of your interest while calculating costs. One of the factors that will greatly influence your total expenditure is the type and structure of your course. Most U.K colleges have different tuition fees for different subjects. The general practice is to group subjects into different ‘Bands’ on the basis of the nature of these programs. Usually, courses related to arts and languages are grouped together, the science courses are grouped in another band and the ‘Clinical’ courses are grouped in another band. Some colleges divide the science courses on the basis of the amount of laboratory work that is needed and create an additional band for the lab – intensive courses. You will generally find that courses in the field of Arts and languages are the cheapest, and the ‘Clinical’ courses like medicine are the most expensive. Science based courses are priced somewhere in the middle. For example, at the University of Bristol, for the year 2014-2015, the annual tuition fee for international students for arts courses is 14,750 pounds, for the science courses it is 17,750 pounds and for clinical courses it is 33,000 pounds. The duration of your course can also make a great difference to your total expenditure. Many universities in the U.K consider Engineering to be a 4 year course. If you pursue such a course, you will not only have to pay the tuition fee for an additional year, but will also have to pay for the living costs of an additional year in the U.K.
For ‘Sandwich’ courses, which include a year of work experience during your studies, you will be asked to pay a part of your annual fee for the work placement year during which you will not attend college. For example, at the University of Westminster, you will be asked to pay 15% of your annual tuition fee for the sandwich year. Along with that, you will have to pay for the living costs of the additional year as well. The Foreign Exchange Rate can make a huge difference to your total expenditure while studying in the U.K. An increase in the value of the rupee will make you pay less, whereas an increase in the value of the pound will make you pay even more than the amount you calculate today. Such fluctuations should not manage to affect your studies and alter your plans while you are in the U.K. Therefore, it becomes important to keep a margin for such exchange rate fluctuations in mind while calculating the total costs that you will have to incur during the course of your studies. The location of your college can alter your total expenditure for studying in the U.K significantly. Whether your college is in a small town or a big city, will not only affect the living costs but also the tuition fee. For example, the annual tuition fee at King’s College, London for international students (classroom based courses) is 15,450 pounds. On the other hand, the tuition fee for international students at the Leeds Trinity University situated in the small town of Horsforth, West Yorkshire is 9,300 pounds. London and other cities in the South of England are generally considered to be more expensive than the rest of the country in terms of living costs as well. For example, the annual living costs in Liverpool for international students according to the University of Liverpool are somewhere around 6,000 – 7,000 pounds. On the other hands, the annual living costs in London according to the University College of London are around 10,000 – 12,000 pounds. Consider the type of location you would prefer while calculating the total expenditure. Whether you would want to live in a big city or a small town can significantly increase or reduce your total costs. Apart from your tuition fee, International students spend a lot every year on accommodation and other expenses such as Books, Entertainment, Travel, and Food etc. Saving up on such expenses can certainly reduce your total expenditure of studying in the U.K. The biggest expense apart from your tuition fee is your accommodation. You will need to choose the right type of accommodation while keeping your preferences and budget in mind. Most colleges have halls of residence for international students. You can also choose to stay off campus in rented apartments. Both living on – campus and off – campus have their pros and cons and it is up to you to choose the most economic option or the most convenient option. You will also need to decide whether you wish to subscribe to a college meal plan or not. Usually, college meal plans prove to be cheaper then eating on your own. For example, according to the University of Bristol, students spend approximately 600 pounds a year on food when living on – campus and subscribing to the college mean plan and around 1,200 pounds otherwise. Along with your accommodation, you will have to also pay for your personal expenses and other expenses related to books, travel, food etc. There are various ways through which you can save money on such expenses such as buying used books, using public transport etc. According to the University of Bristol, students studying there spend approximately 6,700 – 10,000 pounds a year on living expenses, including accommodation. 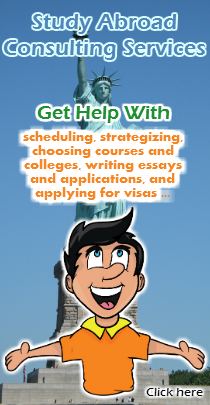 The amount of Financial Aids and Scholarships available for International students differs from college to college. Some universities like the Cardiff University and the University of Oxford offer various grants, loans and scholarships to International students. You can be awarded financial aids on the basis of merit, grants or need. It is very important to research about such aids as a part of your research process. Look for possible financial aids offered by universities, the Indian government and other external organizations. Such aids and scholarships can drastically reduce your overall expenditure and can make studying in the U.K more affordable for you. Keep in mind that getting such aids is not easy and there are very few aids available at the undergraduate level. However, if you look hard enough, you will certainly find a form of financial aid that suits you and your family. Another factor that you will need to consider while calculating your cost estimate is whether you’re willing to work while studying or not. The U.K government allows international students to work part – time (20 hours a week) during the session and full – time during vacations. Such part – time jobs can help you earn some money on the side so as to fund a part of your living expenses. However, do not expect to fund your tuition fee or accommodation through such work as you will not be able to work full – time so as to adhere to the regulations of your Tier 4 (General) student visa. The average salaries for part – time jobs range between 5 – 8 pounds per hour. 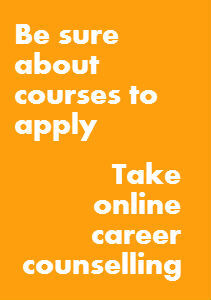 You might also get a chance to work full – time if your course includes a year of work placement. According to the Aston University, the average salaries for work placements are around 14,000 – 15,000 pounds for that year. Such jobs can help you fund your living expenses for that additional year and gain some vital work experience as well.